There are certain characters that become so ingrained in pop-culture that they seem to take on a life of their own. 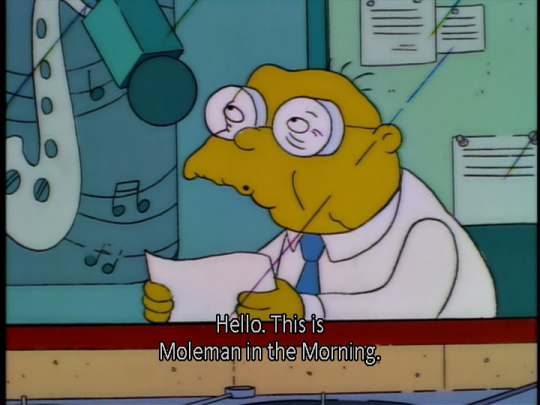 This week, I’m focusing on the hilariously unfortunate, cataracts ridden but utterly brilliant, Hans Moleman. Good Moleman to you. In three words, he’s: Tragic, strange and brilliant. Why he's a TV great: The Simpsons arguably has the greatest supporting characters of any TV show so choosing just one to focus on this week was especially difficult. Still though, who doesn't want to learn more about a character that's seemingly indestructible and tastes like a peanut? 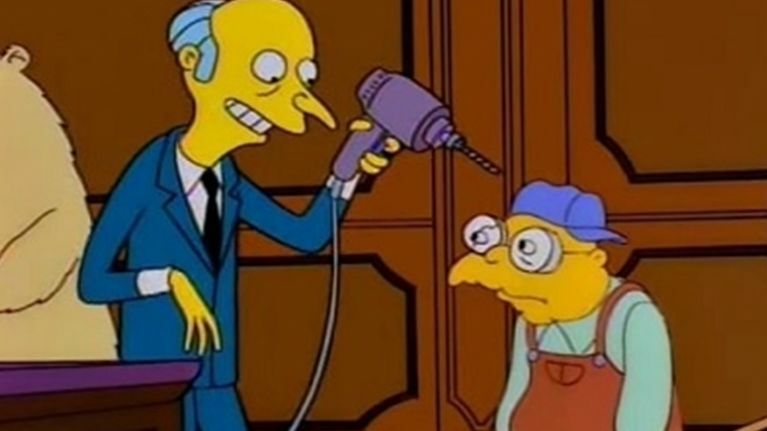 Moleman is a pretty interesting dude when you think about it. The former Mayor of Sprinfield had an affair with Lars Ulrich's grandmother, was a sugar truck driver for a while and always carries a gigantic knife in his pocket, handy when his renegade group the 'Mole People' rise-up from the underground. His car blowing up, the electric chair, being buried alive, left in an X-ray machine, catching on fire and having an electric drill planted into his head. I wonder if Mr Burns ever did find those lucky charms? He's always a guaranteed laugh on the show though he's so pathetic, tragic but oddly lovable. Without him, I'd wager that there would be no Father Larry Duff in Father Ted or Unlucky Alf from the Fast Show. They took the idea and ran with it. His best quote: "My name is Hans. Drinking has ruined my life. I'm 31 years old! If we could put him in any other show: As mentioned previously, I would be very tempted to see what Moleman and Father Larry Duff from Father Ted would be like together. I'd imagine that they might be making a trip to A&E. His best scene: It could only be this.